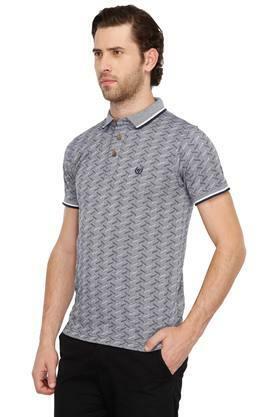 Simple and stylish, this polo T-Shirt from Vettorio Fratini will be a great addition to your closet. 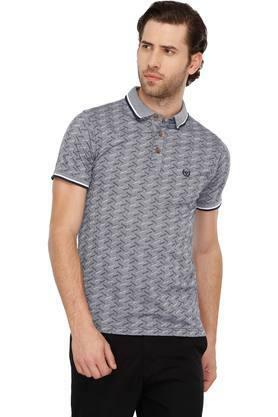 Featuring a print pattern, it looks distinctive while the stripe detailing on the sleeve hem is further inspired by the traditional styles. 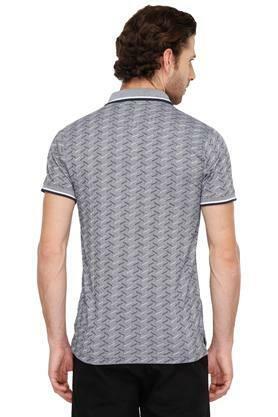 Besides, it has been crafted with care using premium quality fabric so as to keep you at ease all through the day. 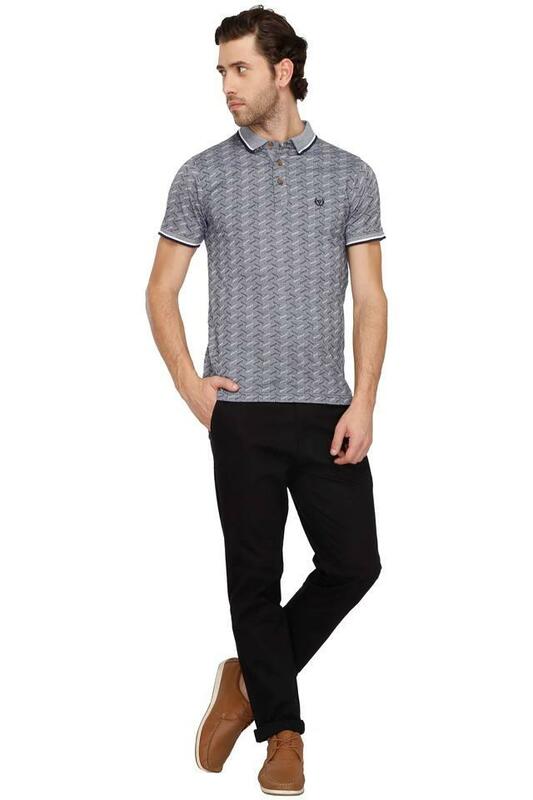 If you like to go casual and comfortable with your clothes, this polo T-Shirt is what you need. It can be worn with a pair of jeans and sneakers for a complete look.